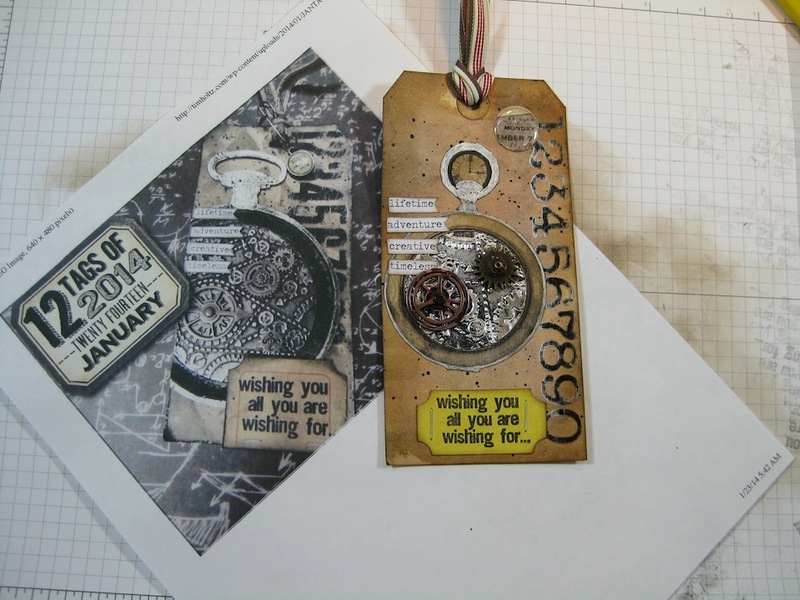 Tim Holtz January 2014 tag. 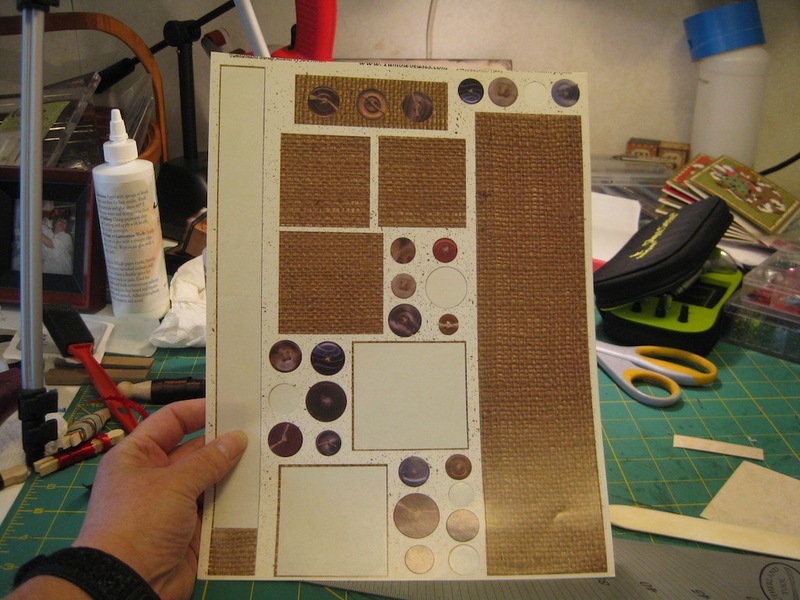 Once I finished making my granddaughter’s mini album, last week, I thought it was time to begin a project I am totally unfamiliar with. Doing a bit of “Altered Art”. There are some things I have to be drug kicking and screaming into. This is one of them. 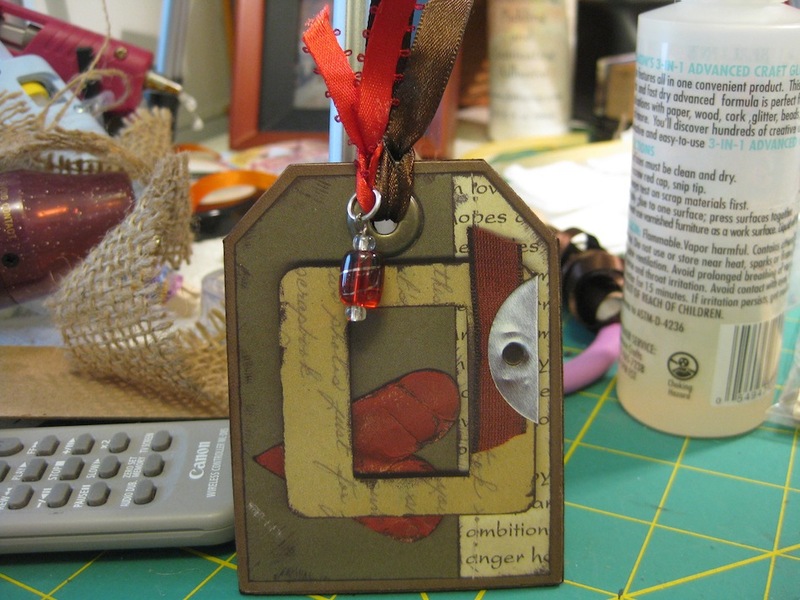 Using Tim Holtz, and Ranger Industries, Distress Stains. I don’t have any of the black and gray that Tim used on his tag. 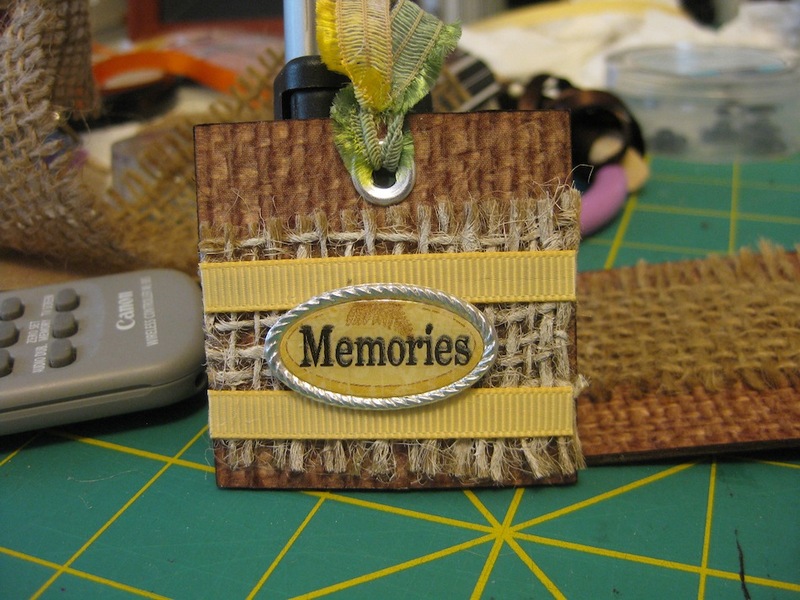 I used Weathered Wood and Vintage Photo on the tag base. Using the items that I have on hand I thought I’d give this a try. The numbers Tim has on his tag are rub ons. 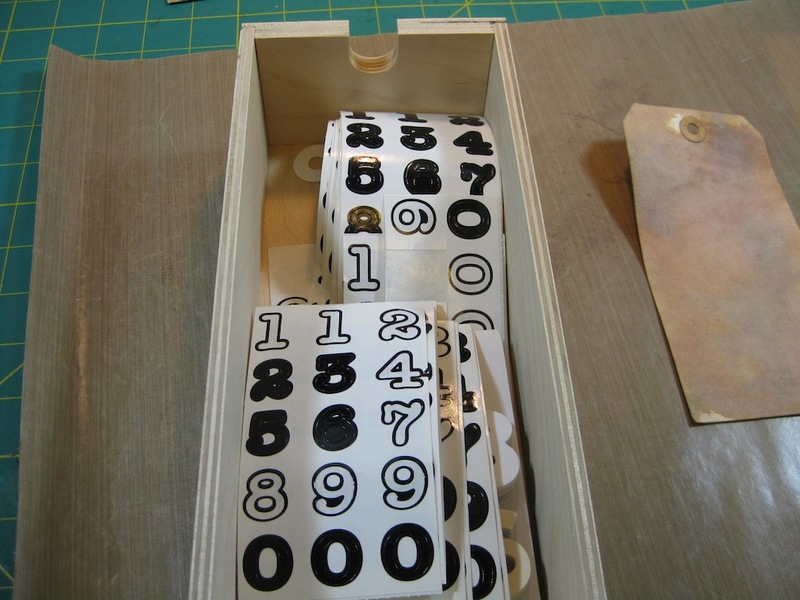 I have some really OLD number stickers that have been hanging around in my craft room since 2006. 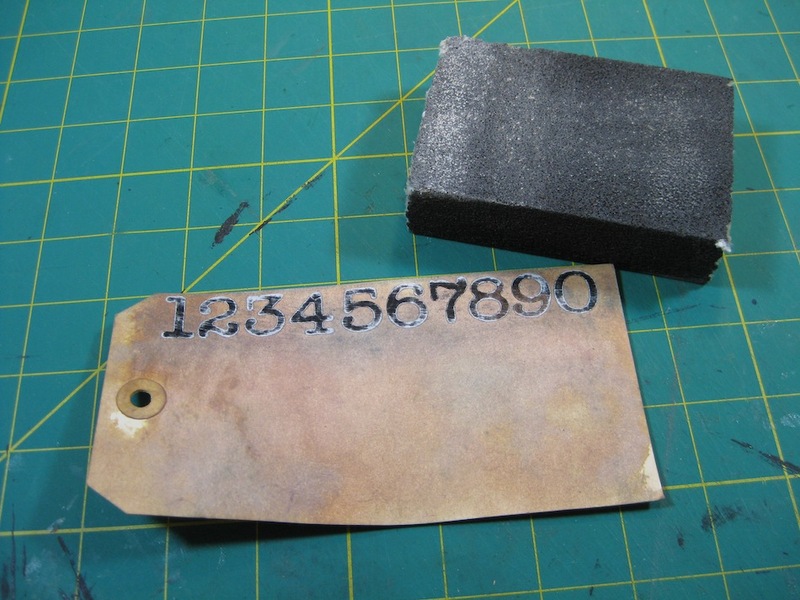 After I applied the stickers, rubbed and mashed on them with my bone folder to make sure they were stuck on good, then rubbing them some more on the back side of the tag I figured it was time to get out the sanding block I have had from a home improvement store. 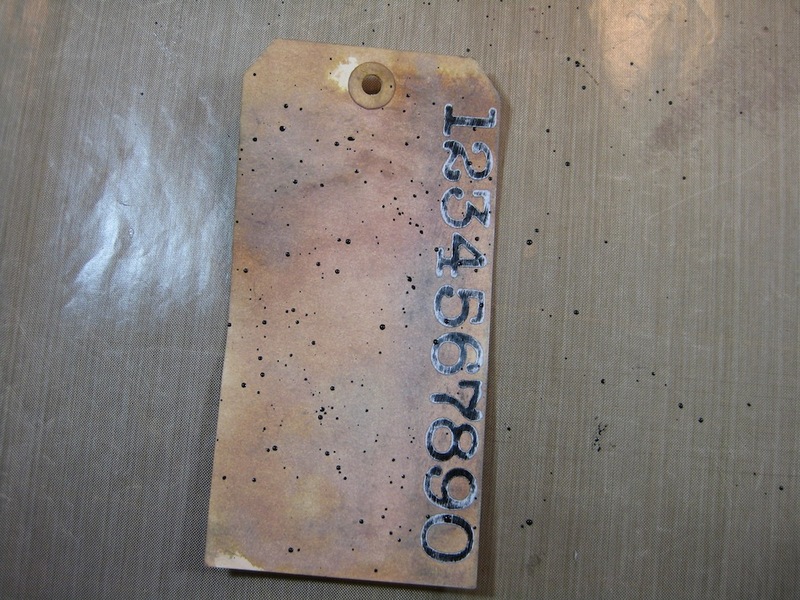 Tim’s tag has some black spatters on it so I broke out my black acrylic paint, watered it down a bit using a paint brush. 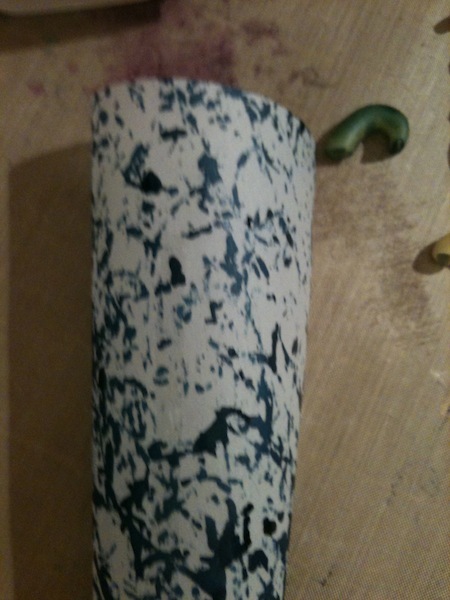 Next I set to banging the paint brush on my left index finger. Uhm, OUCH! It smarts when you hit your knuckle with a wooden stick! 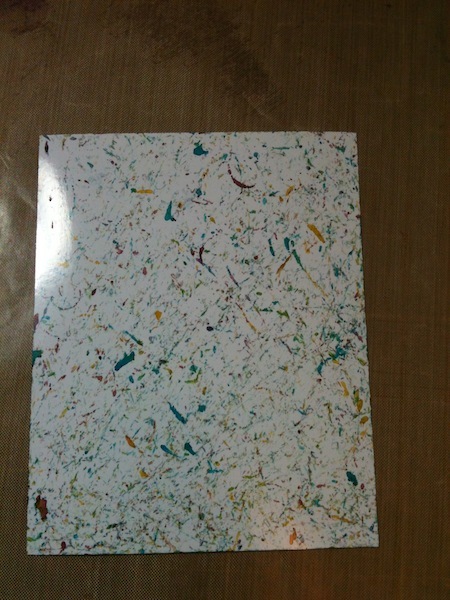 I can actually say that I did get some spatters going on. 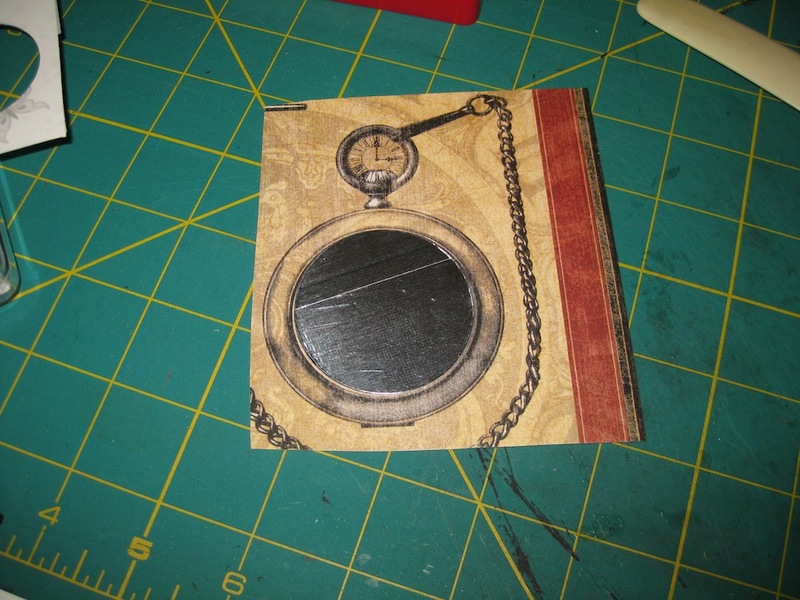 I had to do a bit of scheming to come up with a pocket watch. YES! 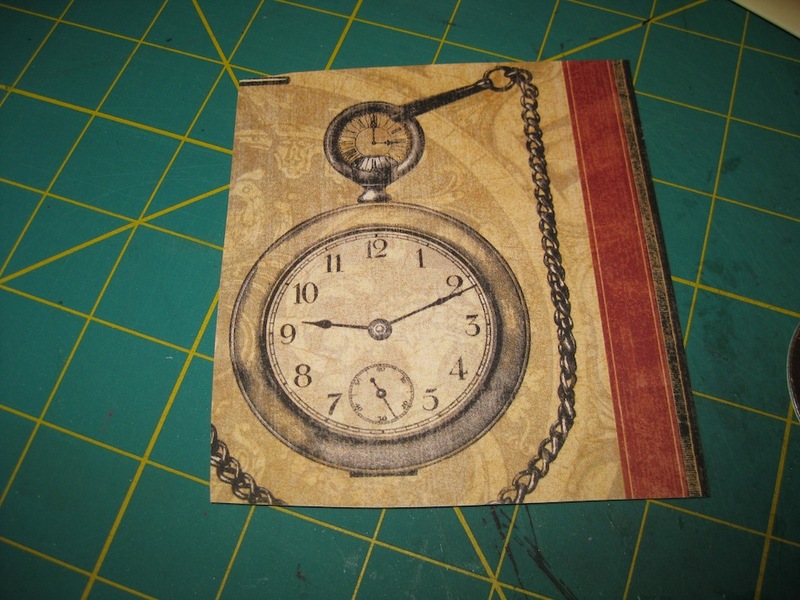 I remembered I had a Graphic 45 paper pad called “A Proper Gentleman” and there is a pocket watch in there. Looked to be about the right size I would need, too. 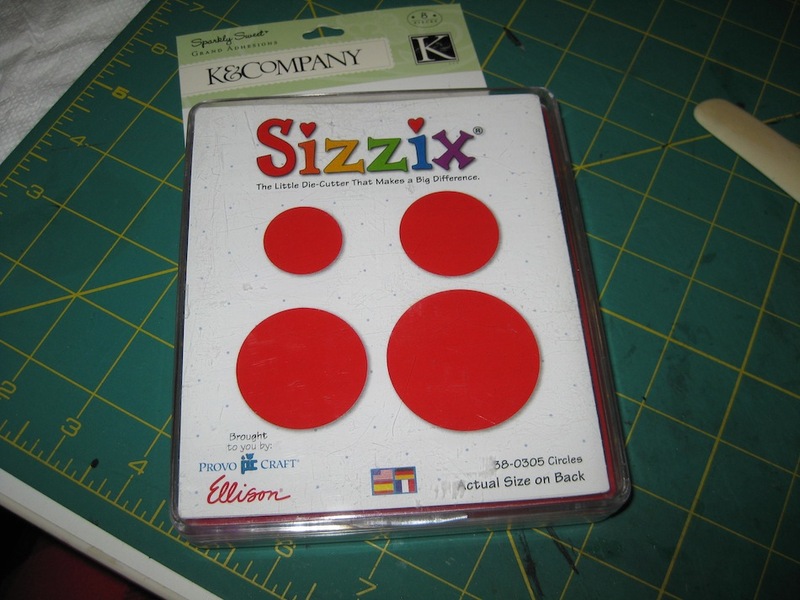 My old Sizzix dies are being brought out and into the light. 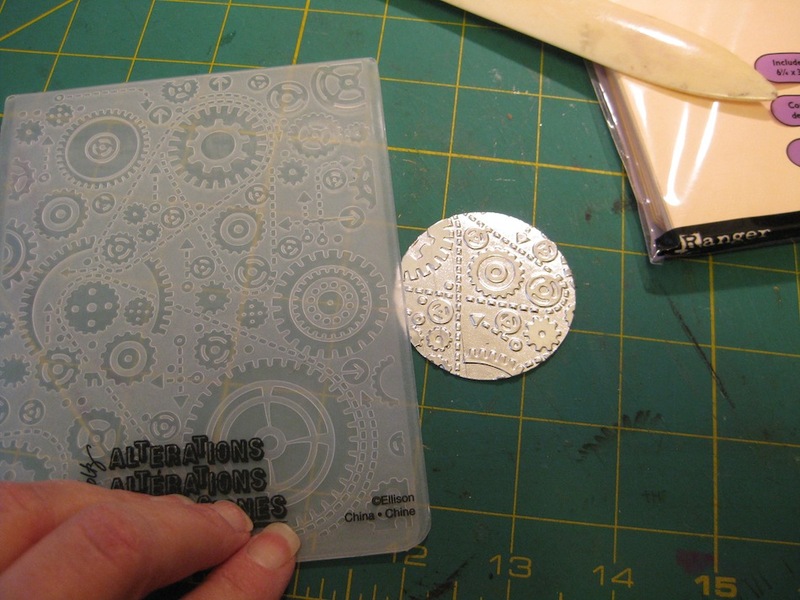 This time I have used the Circles die. The largest circle will fit in the time piece area of the image. I hope anyway. 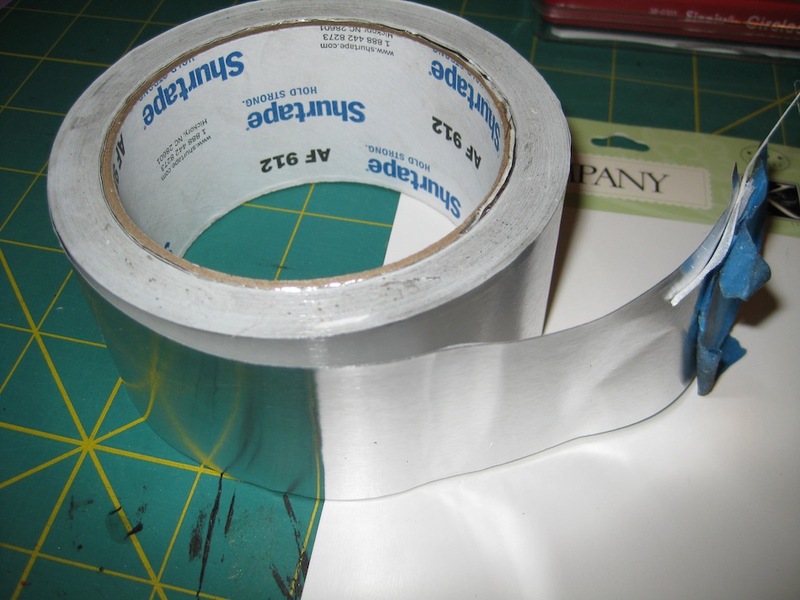 A piece of scrap packaging, a bit of metal tape and I’m in business here. I don’t have the die that Tim used, and I don’t have the grunge board he used. 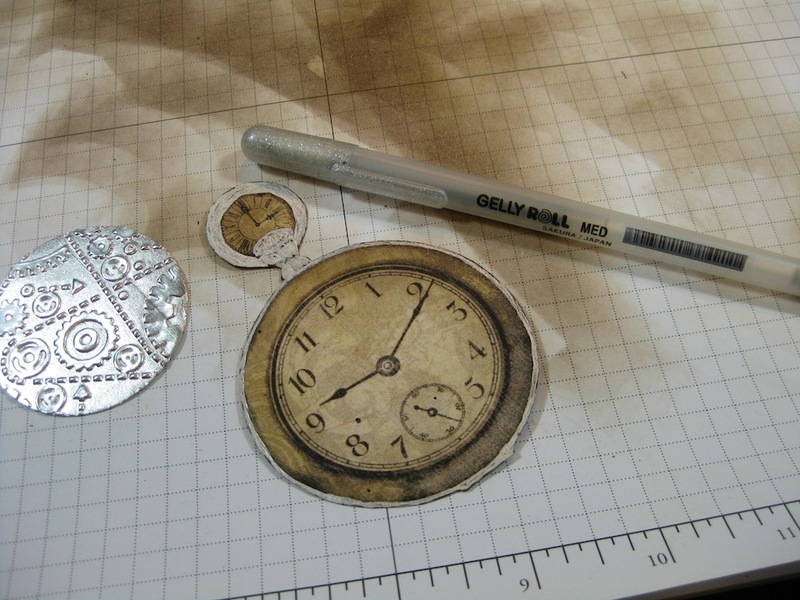 I do, however, have a silver gel pen and an image of a pocket watch. 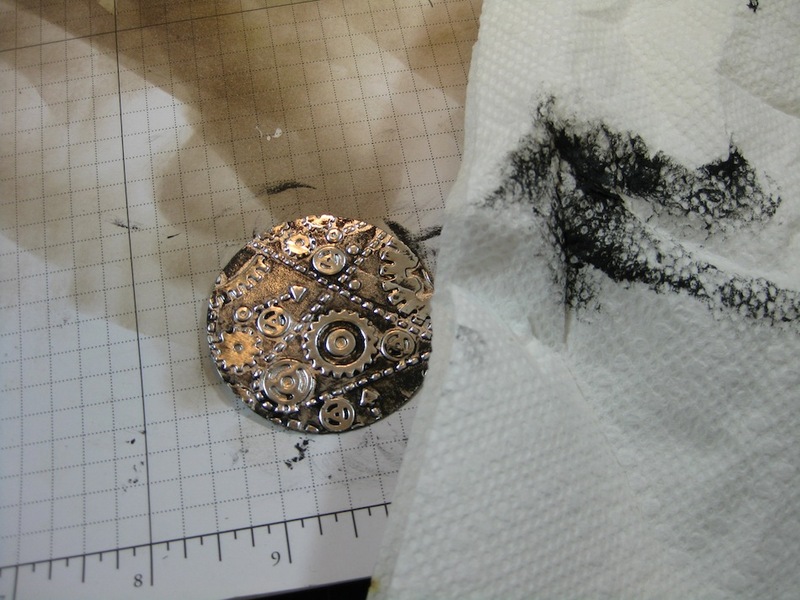 I went around the outside of the watch with the gel pen. 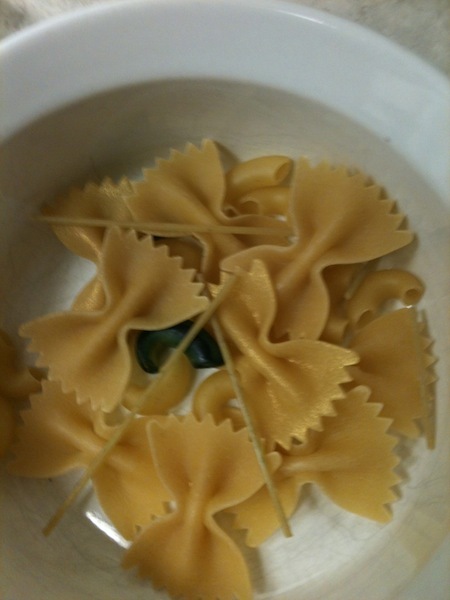 Note to self…..next time maybe don’t do this. Very carefully, I cut the watch face out from the image and inserted the embossed metallic circle. The test fit worked very well. 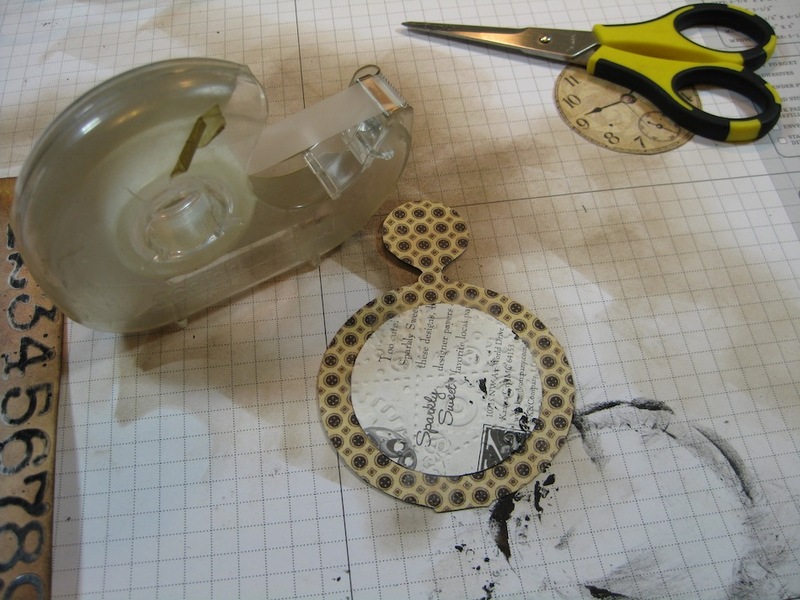 Take the piece out and then smear some black acrylic paint on the embossed piece and wipe it off – quickly. 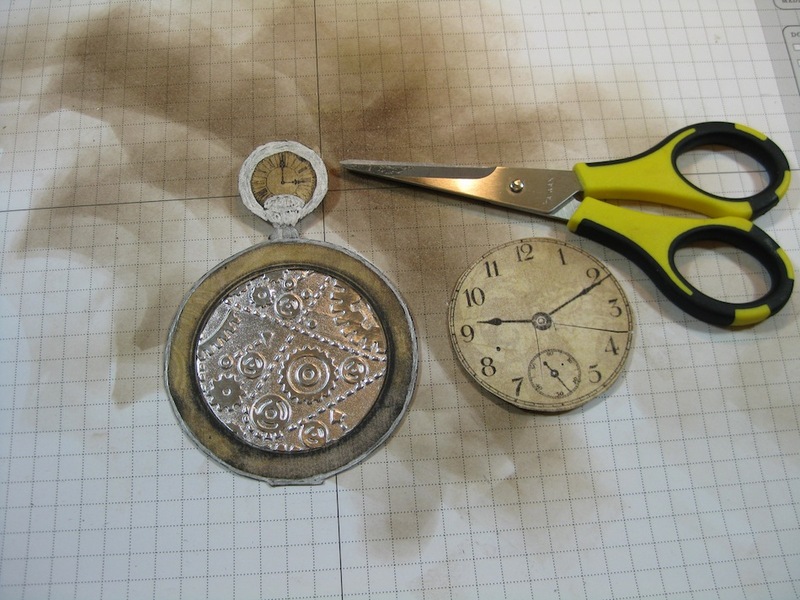 I then taped the embossed piece into the pocket watch “ring” that I had left after cutting the face out. 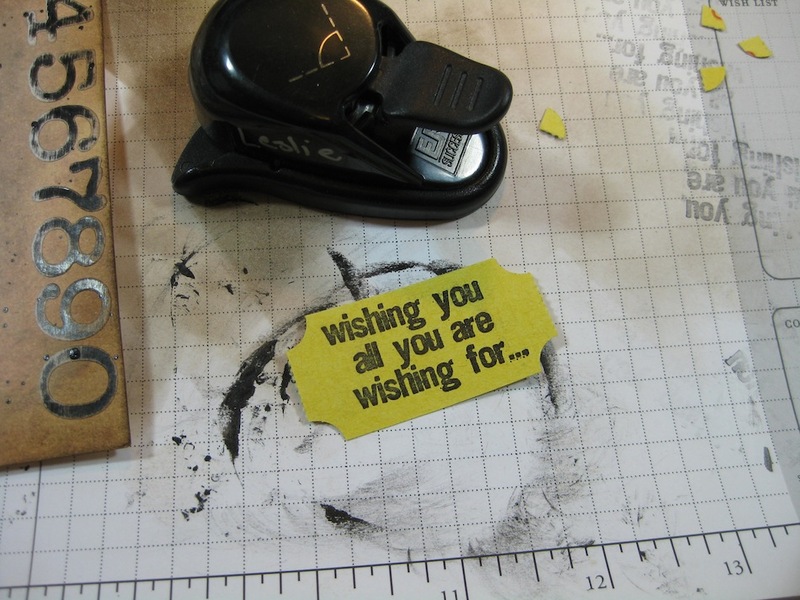 I don’t have a ticket the size used by Tim Holtz. However, I do have one or two tickets that I can use. 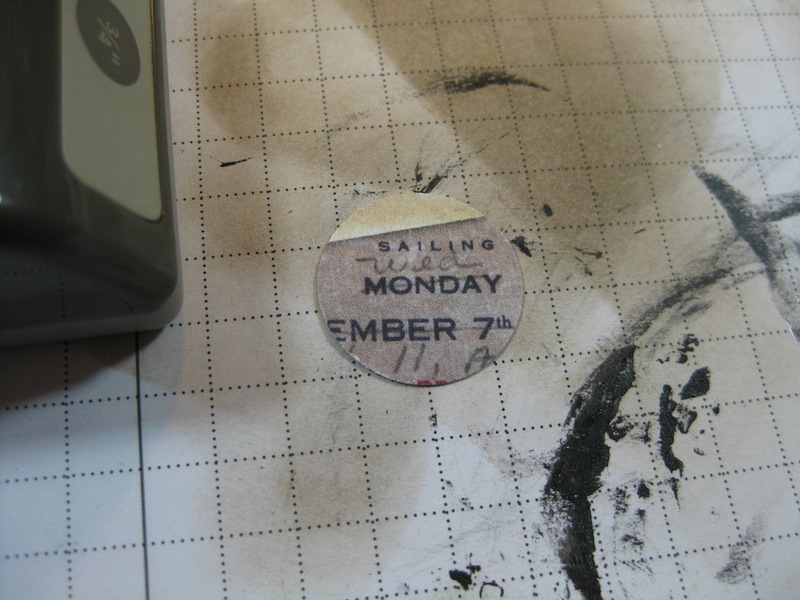 I do have the rubber stamp set that Tim used on his ticket. 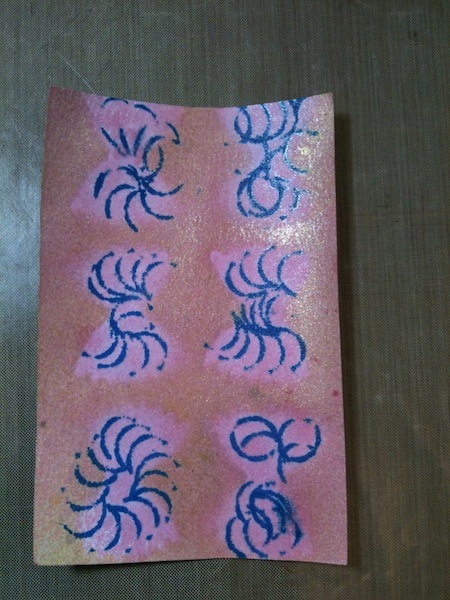 I stamped it on one of my yellow tickets then had to use a Stampin’ Up! Ticket Corner Punch to make this look like a ticket. 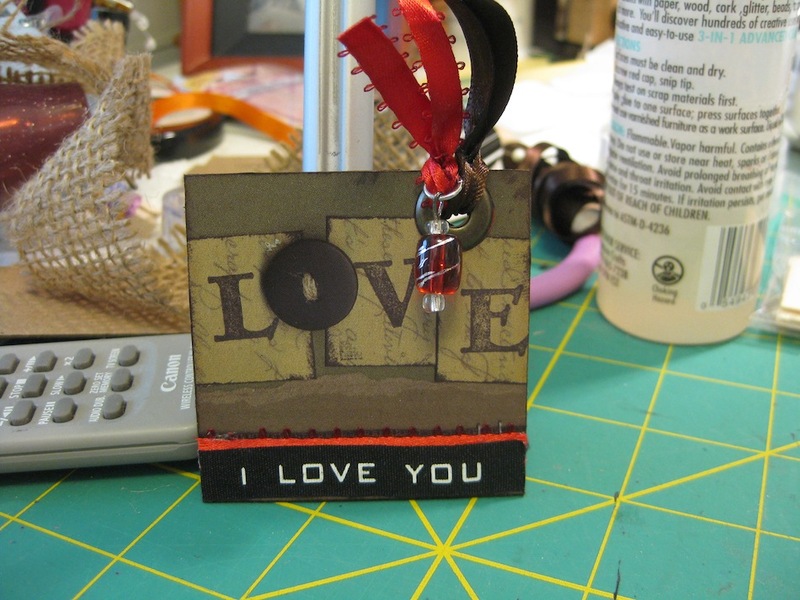 And, lastly, I have the word stickers from Tim Holtz that match his tag. I think I’ve already told you that I am a “Sissy La La Pants”. I survived the making of this tag challenge and have come pretty close to what Tim has done. Lesson learned in this piece? Doesn’t matter what you have OR DON’T HAVE. The important thing is to get out of your comfort zone and try something totally not of your ilk. 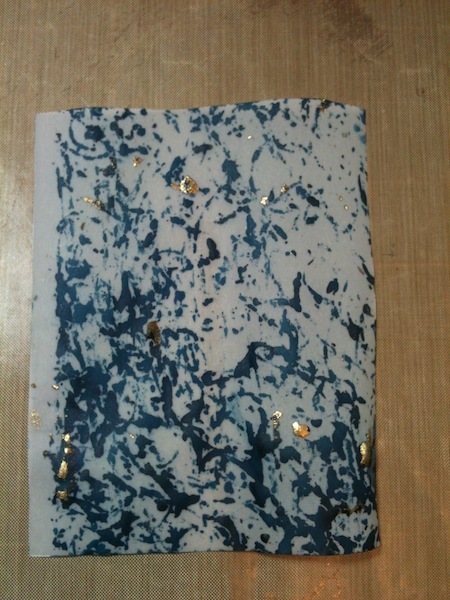 I learned that Distress Stain is pretty fun to work with. Having a sample to experiment with is freeing. 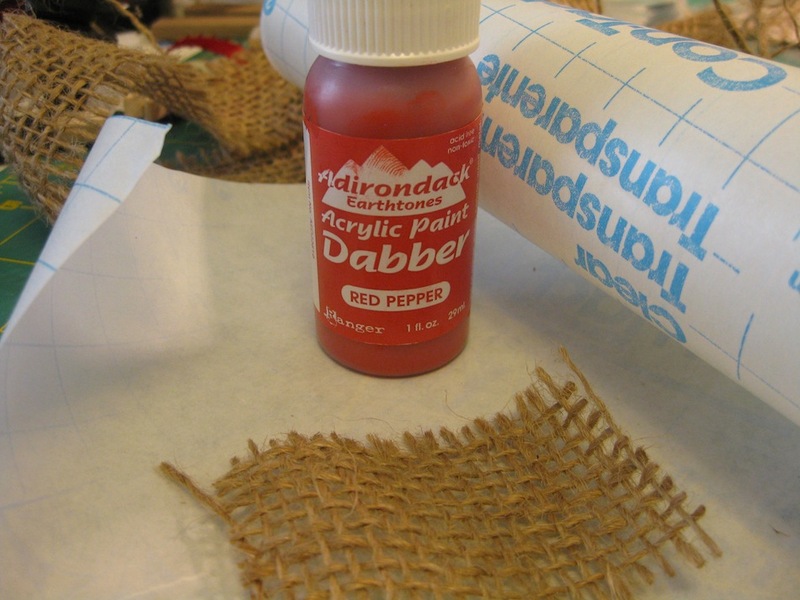 Sanding blocks and distress techniques have their place in crafting. The right coach can help through the squeamish times. 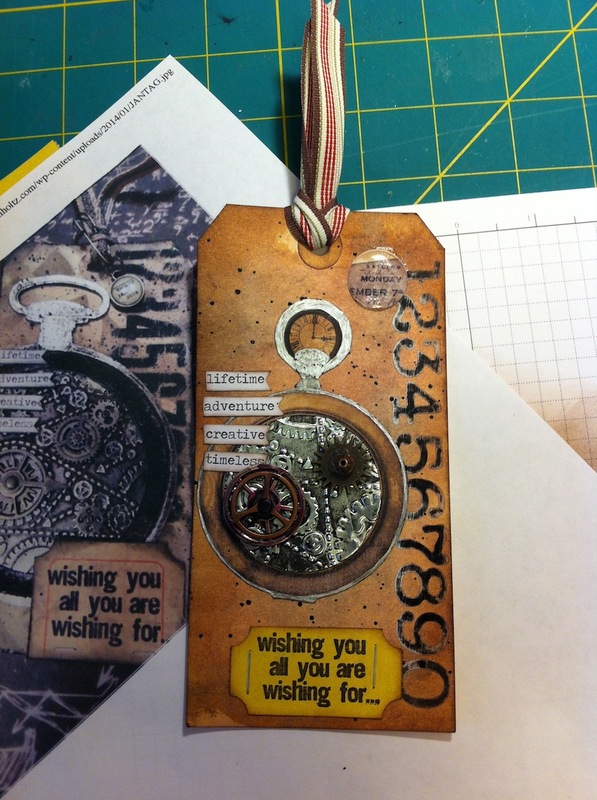 Was I successful at making a Tim Holtz Tag? Yes, indeed I was. Hey, Tim. Bring on February. I’m ready for whatever you have to throw at me. 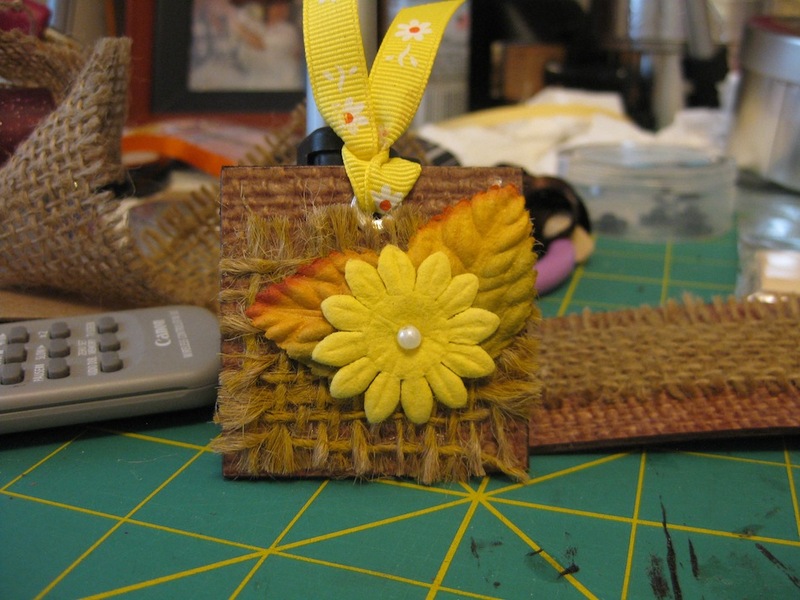 Have you tried the tag challenge? What do you like about it? What have you learned about it? I want to know. 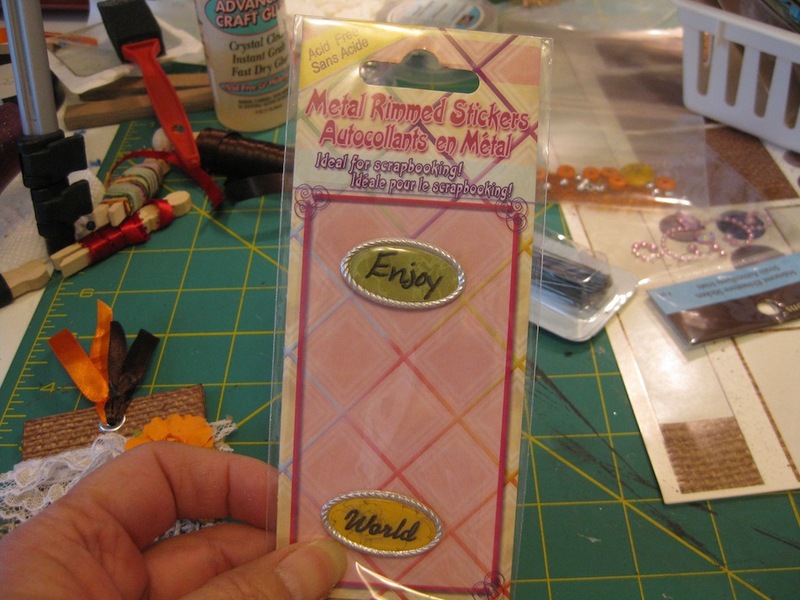 I Double Dog Dare You to make some tags using scrapbook sticker sheets!. 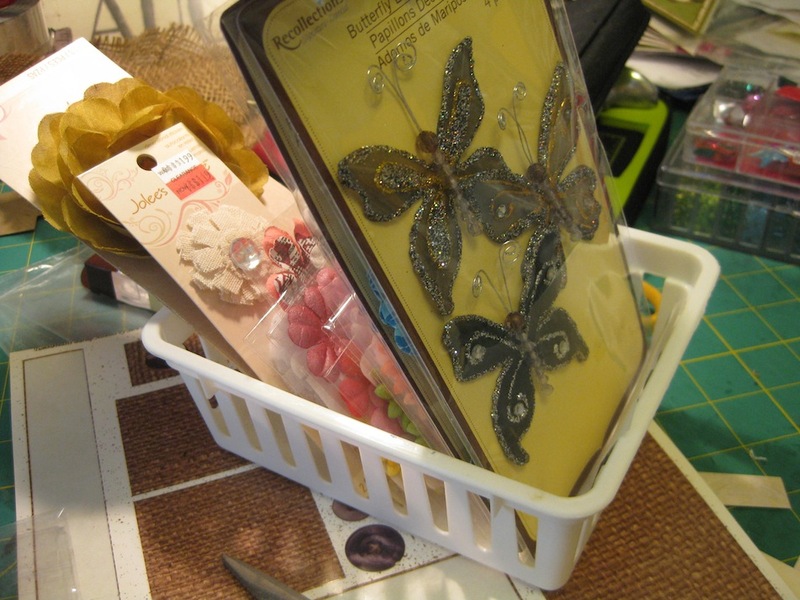 My intention was to get in my craft room and begin purging. Clear out the massive amount of crap I have in there so I can find a home for the new paper cutter Joe got me. I did make a start. 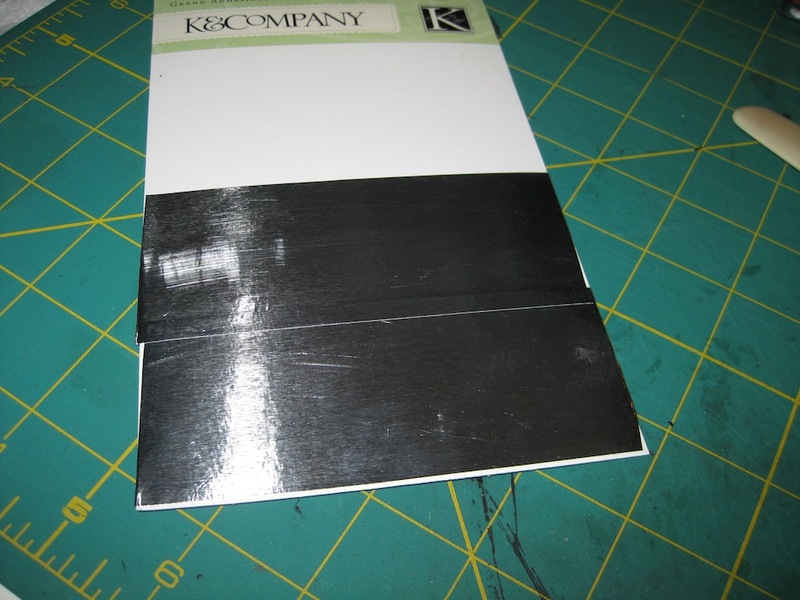 I have several 13″ x 13″ pocket folders chock full of sticker sheets. Most of them are missing stickers. 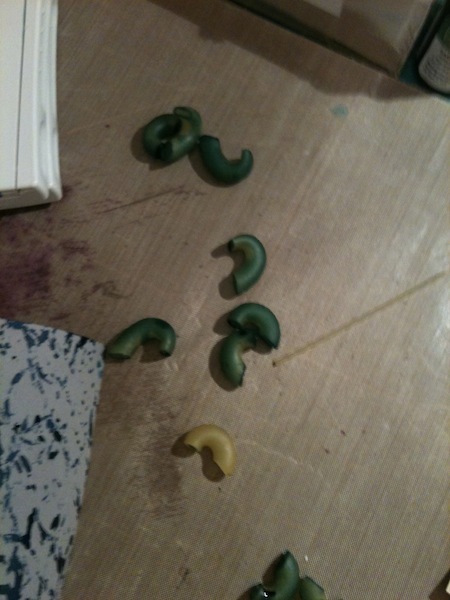 While going through the file pockets and trying to sort the stuff I could purge…an idea struck. Here is a sample of the condition of my sticker sheets. I didn’t feel right in putting that in a pile to give to someone. 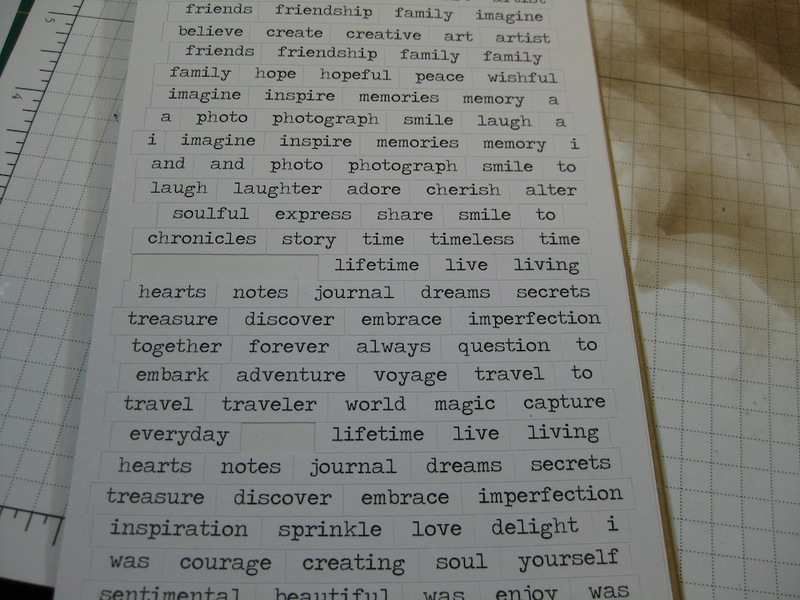 Frankly, if I received this sticker sheet from someone I think I might have thoughts of passing it on to someone else. The images are photo quality. 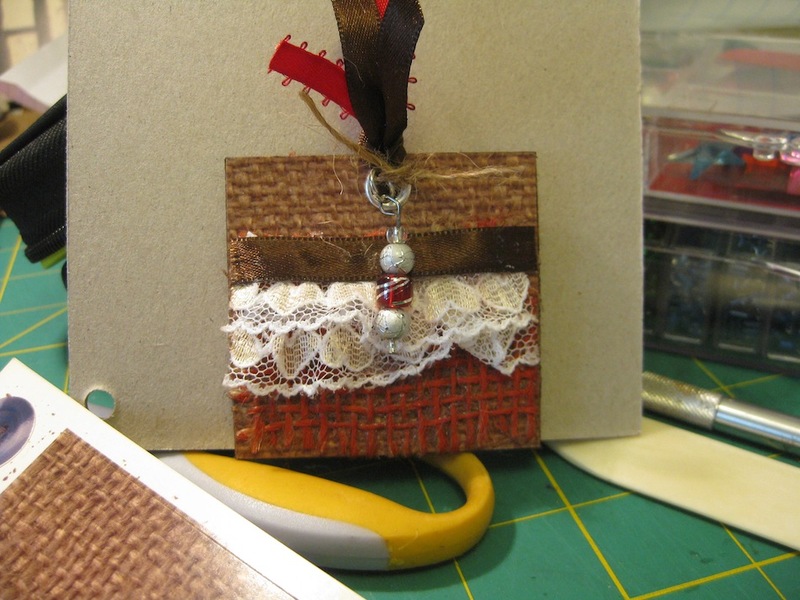 Burlap images. 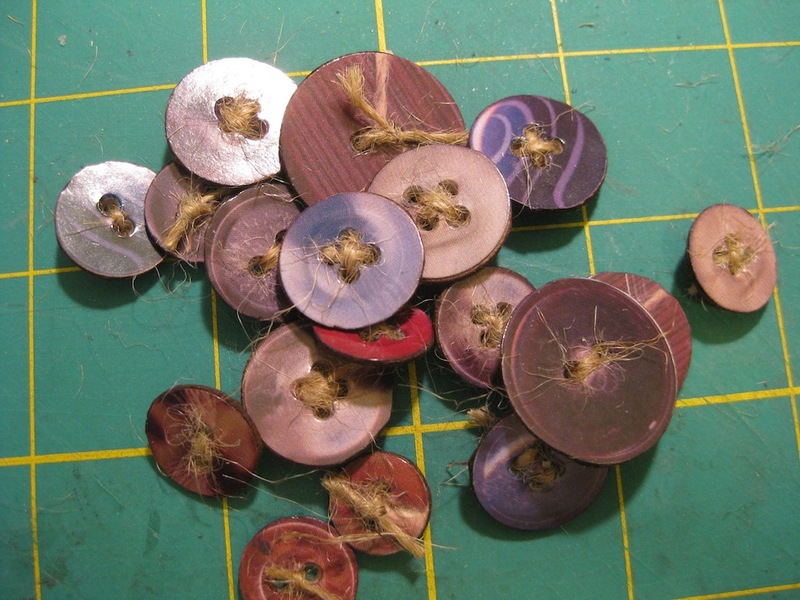 Button images, quite a number of them are stuck to the inside of the plastic file pocket I had this stored in. I bought this sheet somewhere around 2007. I don’t even know what I have used it on. Paw through your stash of sticker sheets and select one. Any one. 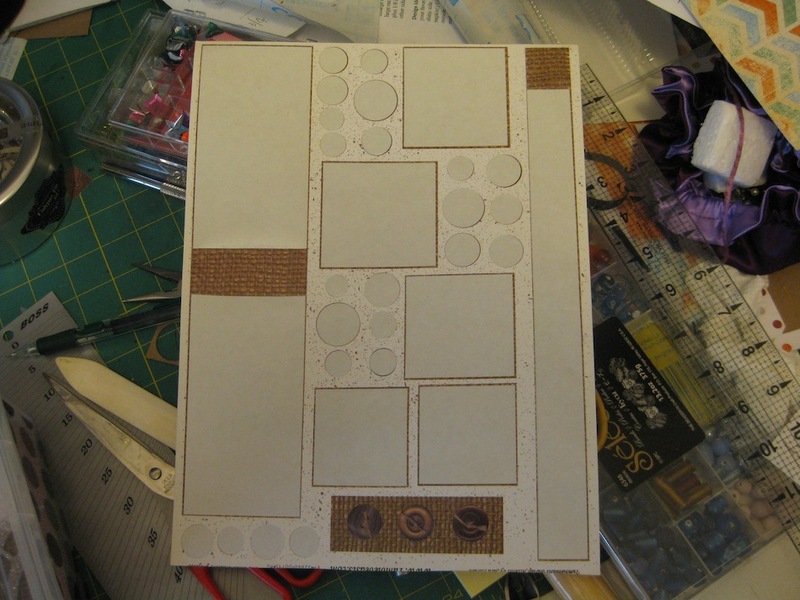 Locate your stash of chipboard. 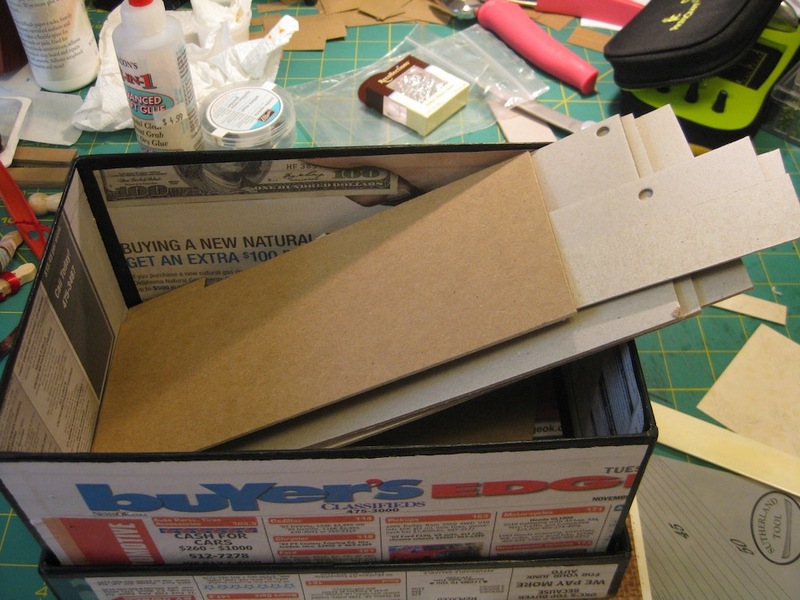 Haul out your stash of saved cereal boxes. Grab a spool of lace trim. 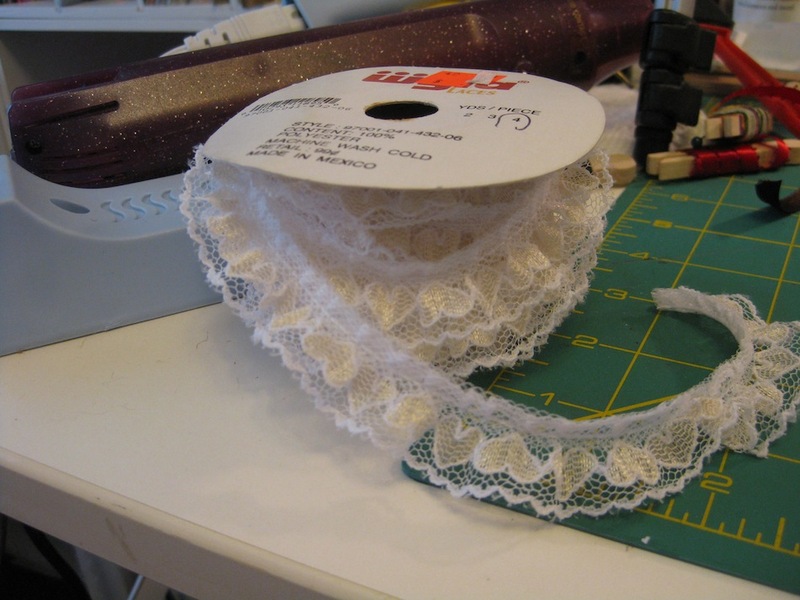 This is the only lace trim that I have so I have used it. 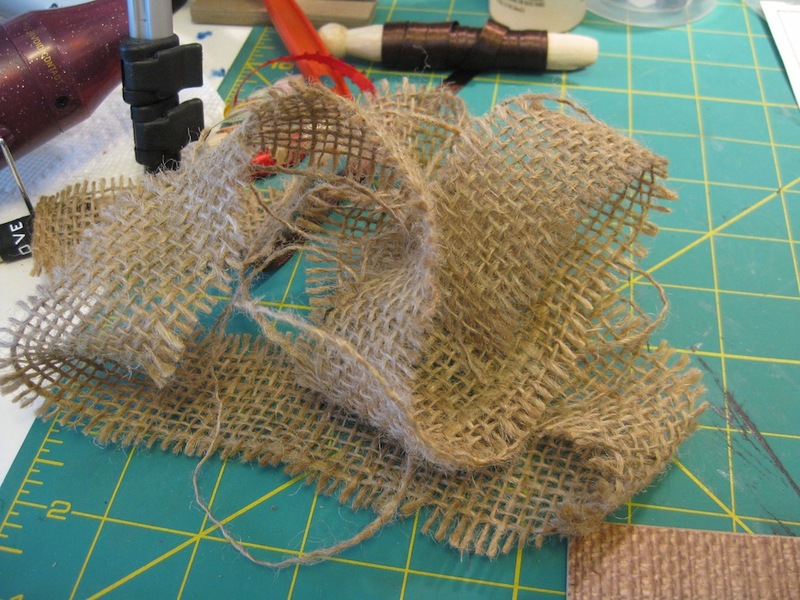 I have a small stash of burlap that has been crammed away in a drawer for about 5 years. Get your stash of small flowers. 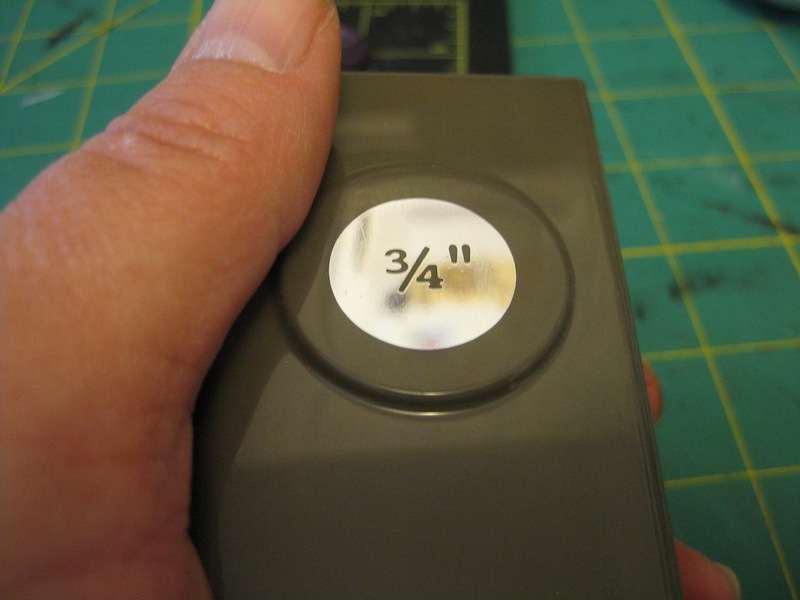 No bigger than 1-1/4 inches. 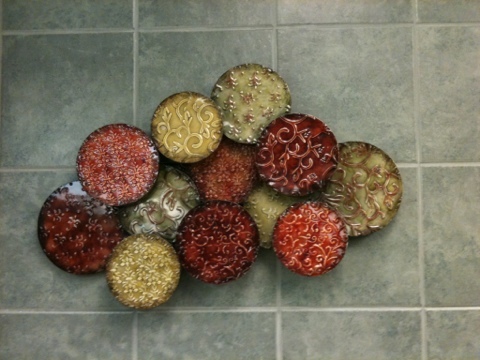 This is just a tray that was easy for me to get to and it has a mix of flowers in it. 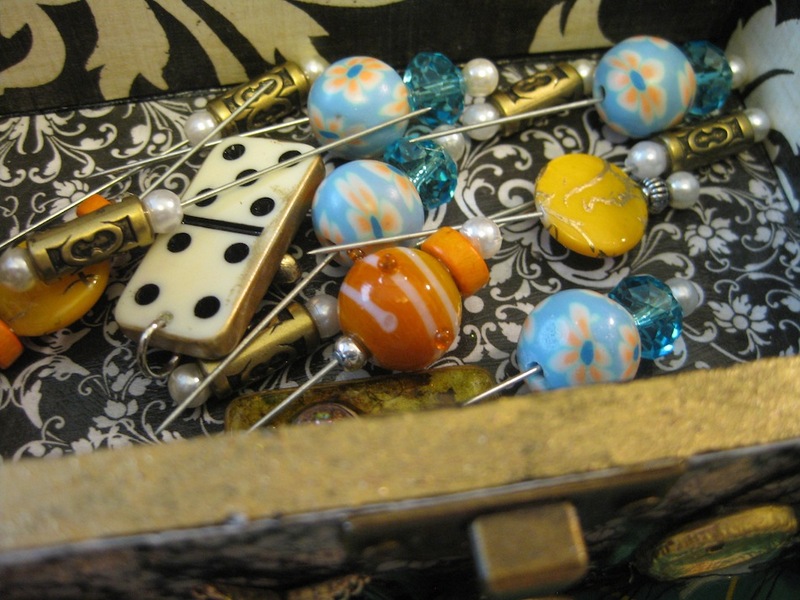 If you have made decorative pins, bring them out. 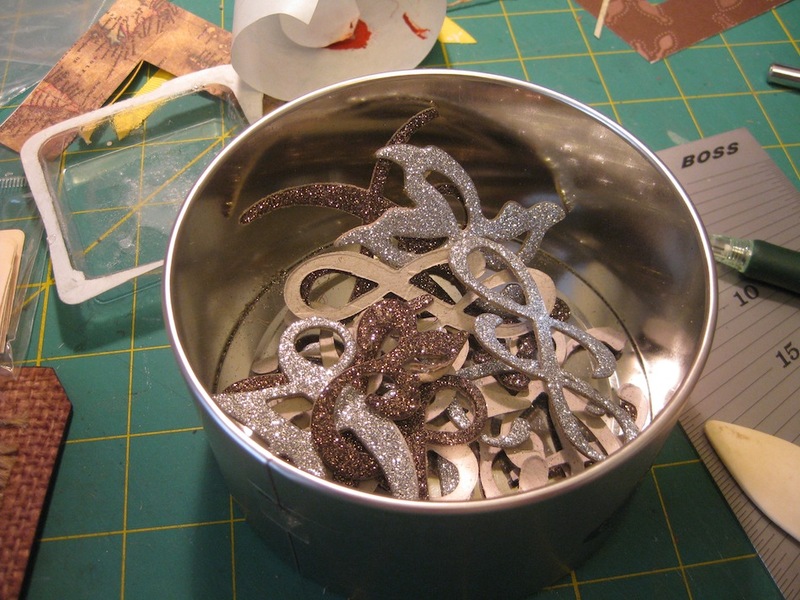 Do you have some glittered up chipboard embellishments? Well, what’s taking you so long? Get them located. 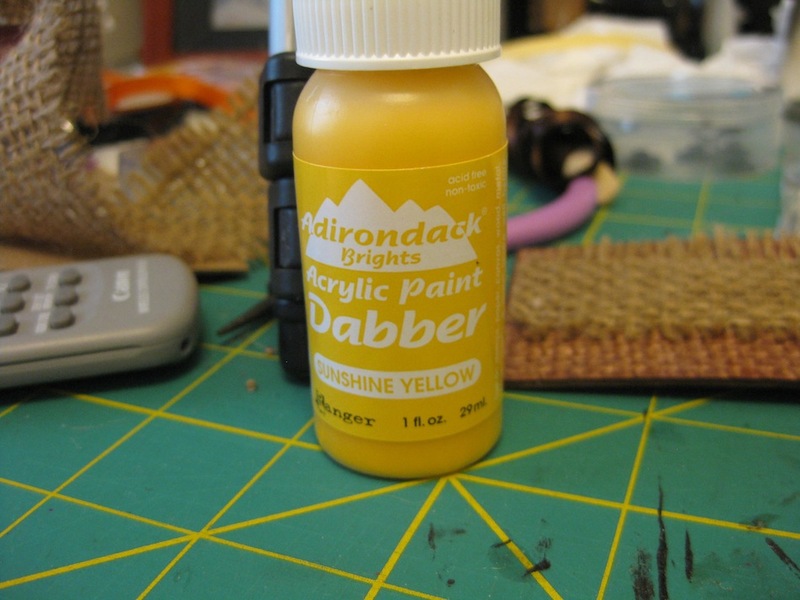 Use some acrylic paint. 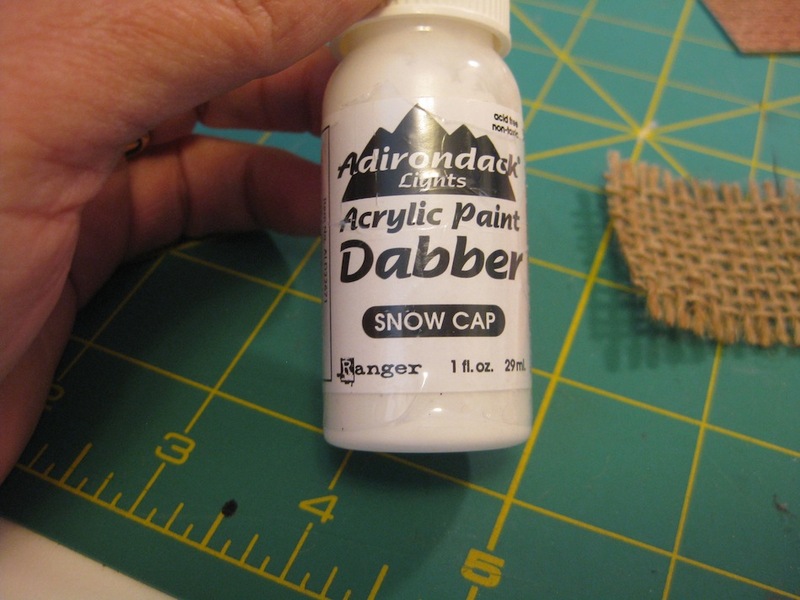 I’ve chosen to use my long neglected Acrylic Paint Daubers from Ranger Industries. 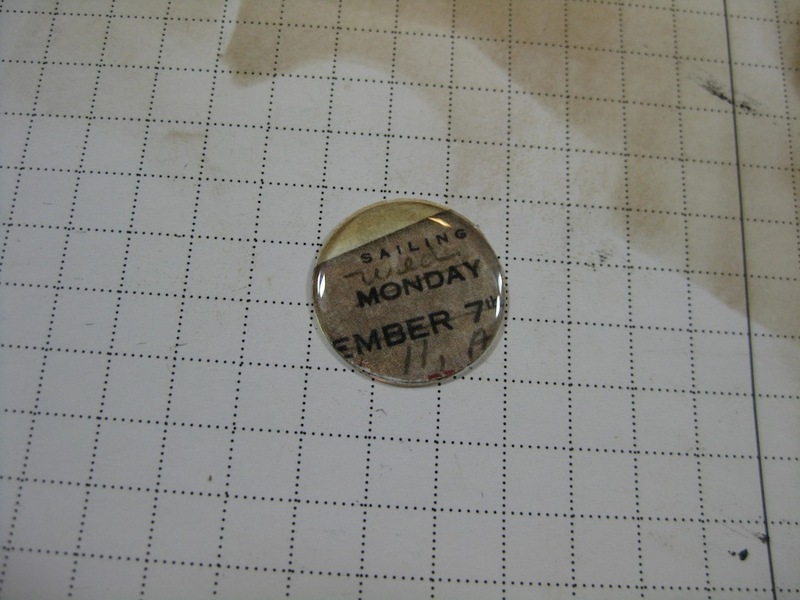 While you are digging around in your sticker stash find some other long forgotten pieces, too. 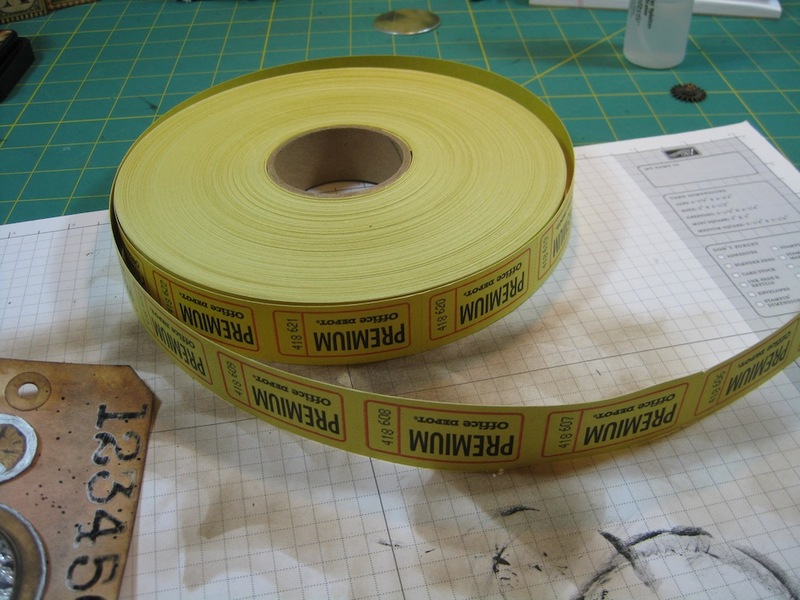 Last thing is some 1/4″ ribbon. 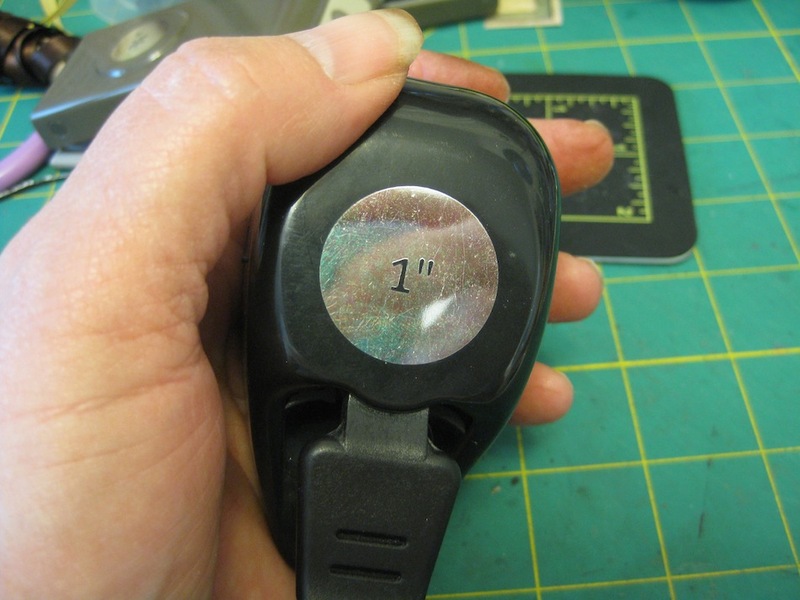 If you don’t have the eyelets to punch and adhere to the tags, you can always use a trusty stapler. Okay. Are you ready? Need some inspiration? 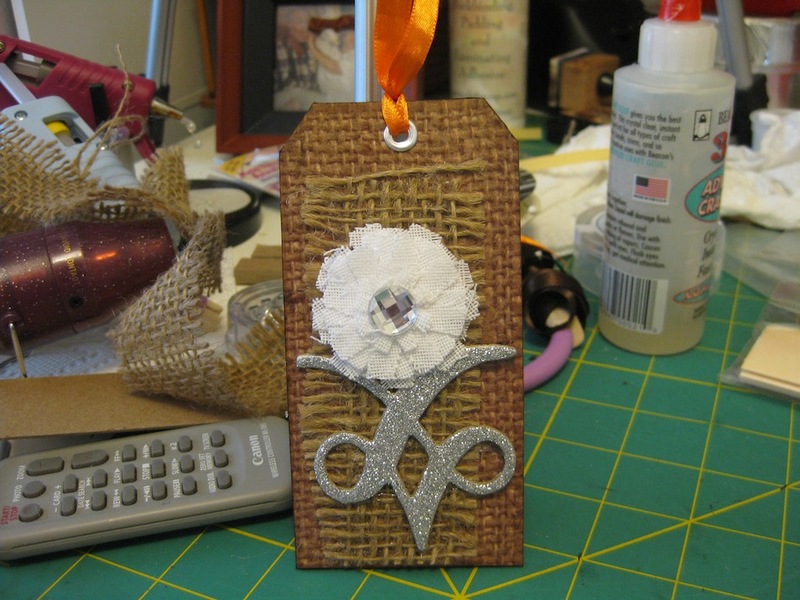 Need a gift tag or two? 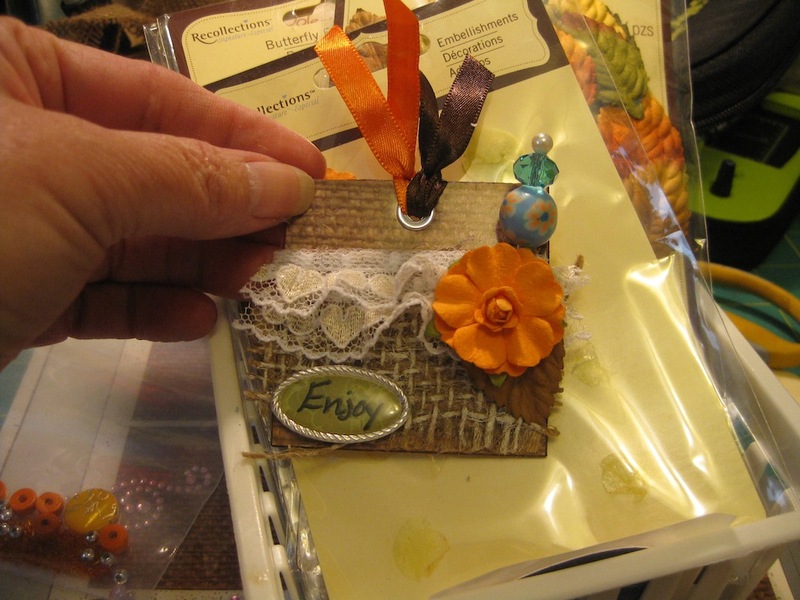 In desperate need of having some decorative tags that coordinate with the mini album or scrapbook layouts you are working on? Out of money and can’t go to the store to buy some ready made tags? Alright, alright. I’ll shut up and show you what I’ve done. 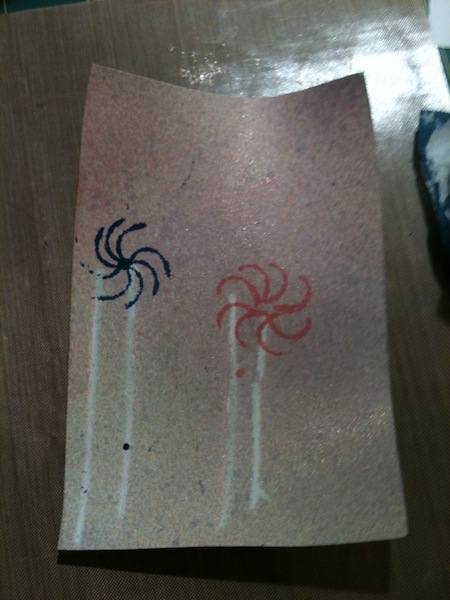 This is all that remains of the sticker sheet. 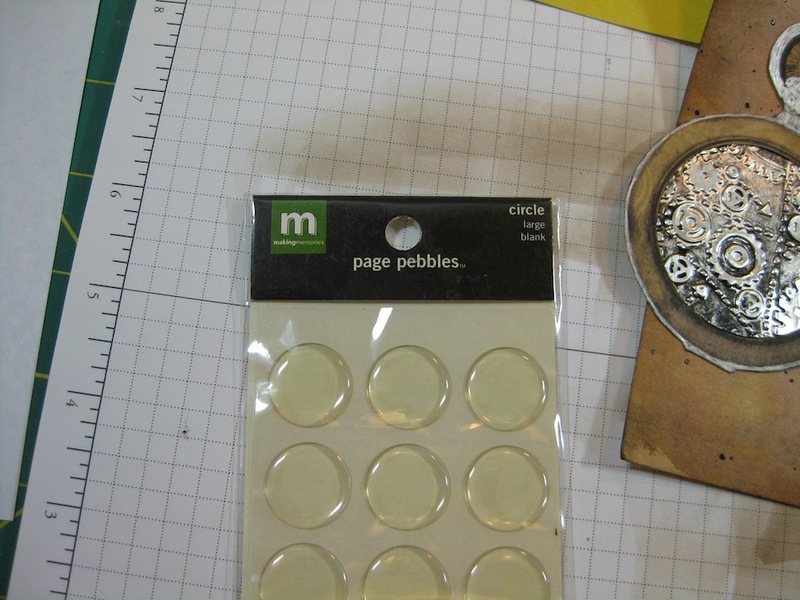 I even made the buttons 😀 I used a 1 inch circle punch and a 3/4 inch circle punch. Not bad for about four hours work. Any fun distraction is always helpful after I have finished my daily business paperwork mess I’m nearly finished with July. Woo Hoo. Are you up for a different kind of card challenge? I take, at least, a gazillion photos for my my truck driving job and that blog. All of the photos are landscapes of the states we travel through. Some are flowers and plant life in the various regions. I probably will not be able to make scrapbook layouts with all my photos. 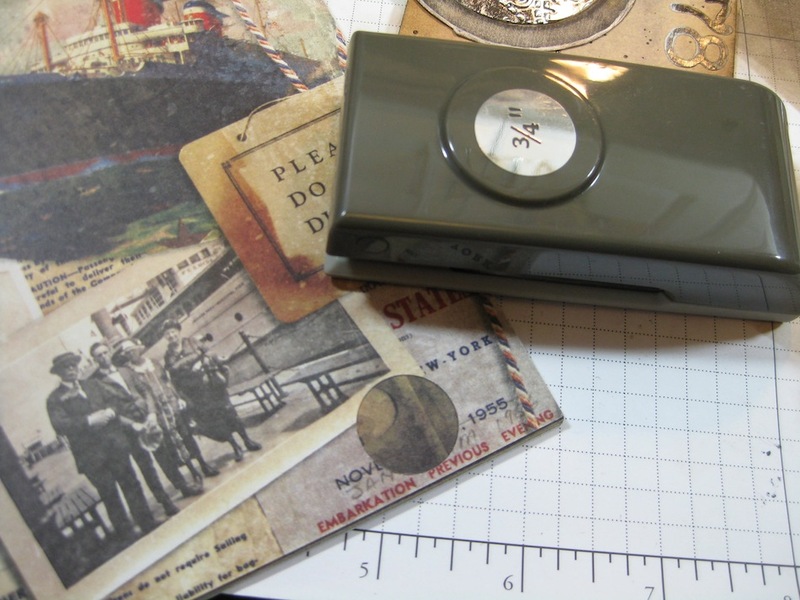 So…..
My new challenge to you all will be to use photos on your card fronts. Joe, my wonderful enabler, has agreed to stop at a Walmart so I can process some photos to use for this challenge. Joe has also agreed to take me to Michaels to get black ink and some REAL card stock. I’m also going to pick up a REAL ruler in the sewing section of Walmart. 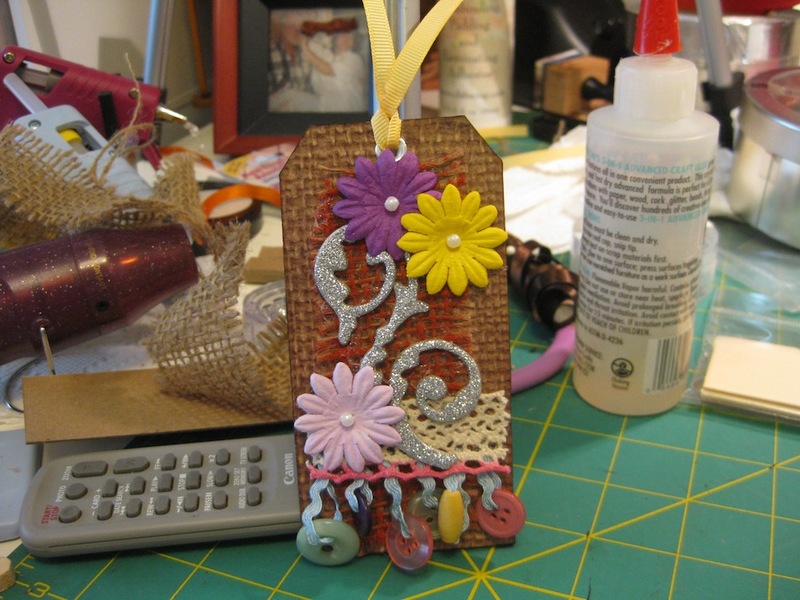 I so want my quilting ruler back.